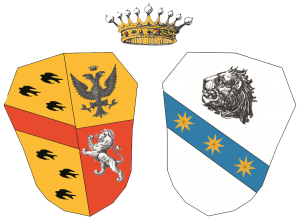 Florentine noble family living in Arezzo and Milan city, ascribed to the Florentine aristocracy. The family had six Gonfaloniers and fourteen Priors in the Government of the Florentine Republic. Vincenzo Borghini dè Baldovinetti was a distinguished historian, literatus and Lieutenant of the Grand Duke Cosimo de’ Medici. He was rector of the Hospital of Santa Maria degli Innocenti in Florence and of all Grand Duchy’s convents. The Grand Duke Francesco assigned him the archbishopric of Pisa, which he refused in a sense of great humility and because he had to deal with the business of the Grand Dukes in Florence. He was a laws reformer in Florence, architect of the rebuilding of the Duomo and the Baptistery. He edited “Lives of the Most Eminent Painters, Sculptors, and Architects”, written by his great friend Vasari. The brother Angiolo took part in The Battle of Lepanto (October 1571) as captain of one of the vessels of Don Giovanni D’Austria’s fleet, who was the commander of the Imperial fleet – natural son of Carlo V – brother of Filippo, king of Spain. Distinguished himself in the battle, he was awarded with the title of Count palatine by Don Giovanni, a title that the same Filippo, King of Spain, confirmed and made transmissible to the Borghini family, descendant of the Baldovinetti. The ancestor Borghini of Taddeo Baldovinetti (1171), who, after the quarrels with the Buondelmonti family, “sold his houses (in Borgo S. Apostoli), that bordered with them and he went to live elsewhere, changing army and dynasty, and he told himself about the Borghini”*. The great painter Alessio came from the Baldovinetti family. The family had several ambassadors, two of whom were at the Court of Spain and was awarded with the Grandeza of Spain. The family extinguished in 1640: went on by affiliation, first in the Poggio and after in the Tolomei and relives for right of blood in the Borghini, which adds the family name. Two of the Borghini, Teresa and Ilaria, became part of the Medici family by marriage. With R.D. 7 April 1901 Attilio Borghini Baldovinetti had renewed the title of Count palatine. (For the C.S. see vol XI, 1940/49). 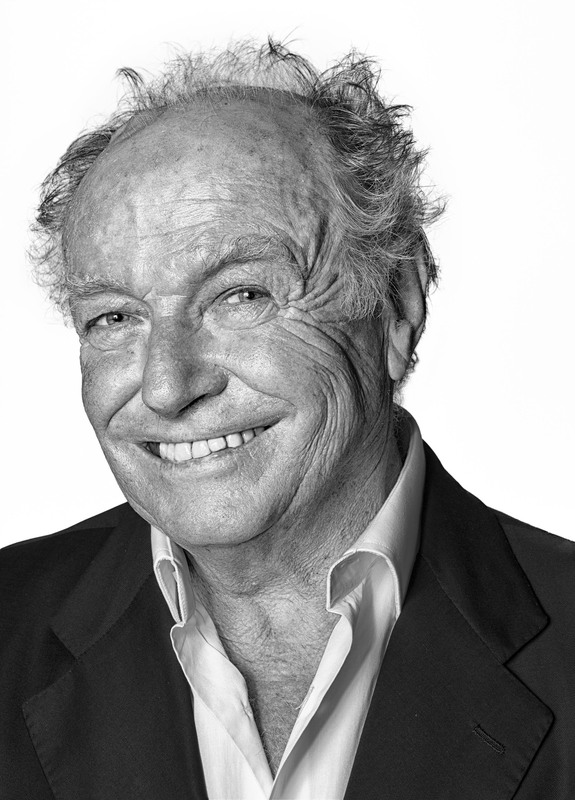 Adds the Baldovinetti family surname to his own. 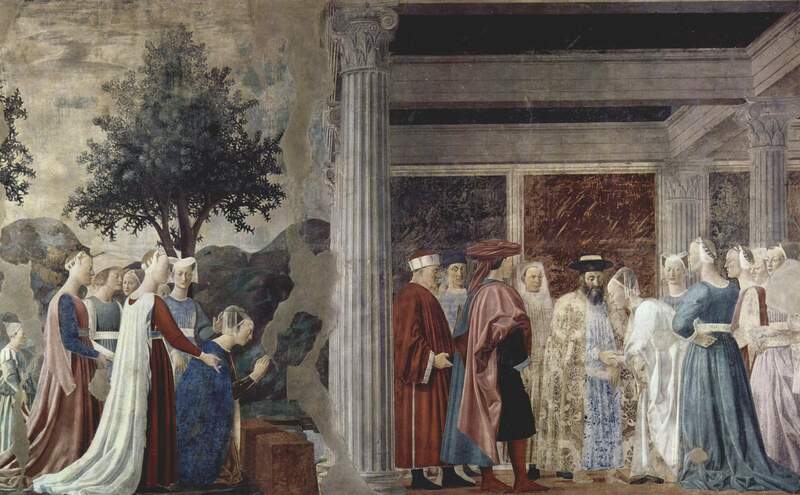 Gianluigi Borghini Baldovinetti, as the last descendant, adds the surname of the paternal grandmother De Bacci Venuti, an historic family of Arezzo, who commissioned Piero della Francesca, to make frescoes of The Legend of the True Cross in the great Chapel of Basilica of San Francesco. In the library of the Castle of San Fabiano in Arezzo are safeguarded the book of the commission and the documents showing that a small farm was sold to pay the great Piero della Francesca, called Piero di Borgo (Borgo San Sepolcro), for the frescoes of The Legend of the True Cross work, in the personal chapel. 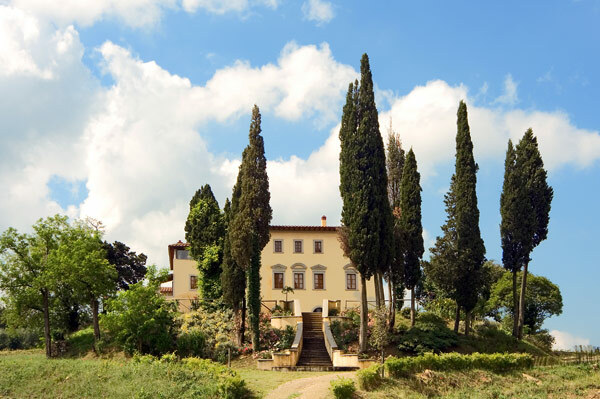 San Fabiano historic estate owned by Borghini Baldovinetti de’ Bacci Counts, starts one kilometer from the walls of Arezzo, on the surrounding hills. 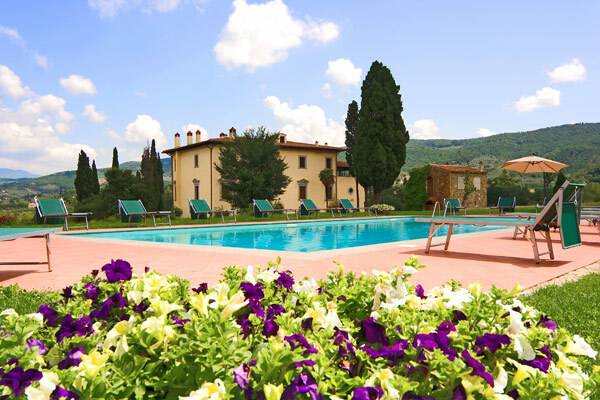 It stretches on the slopes of the Casentino, in the North–East of the city. The current settlement of the farm is located on the ancient road of the sea, that brought foodstuffs from the Adriatic, crossing the whole valley and then moving to the Casentino to reach Arezzo. 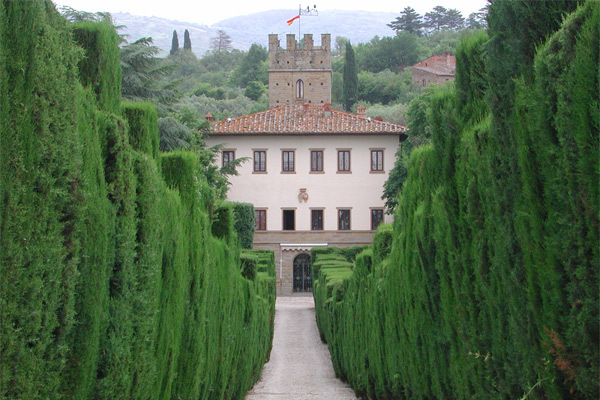 This valley has been subjected to the feudal control of several historic families of Arezzo, including the Bacci family. You can still see today, along this road that slides under the city walls, the watchtowers and gabelle that emphasize its commercial and strategic importance. The first document that proves the existence of vineyards on the property, dates back to 1416: it is the sale of a vineyard made by Francesco de’ Bacci, to finance the frescoes of the family chapel by Piero della Francesca. The Farm Company was founded in the post-war period as a winemaking reality, and then developed in the ‘60s with bottling. Today it has become an important reality in the wine world, exporting its products in all the world, where the wine is appreciated.